For some, the Bible can be an intimidating book to dig into. Its pages reveal a history of days past, with practical application for the here and now. Every word inspired by God Himself, penned by the hands of mere mortals. It contains stories of normal people like us. For some, the Bible can be an intimidating book to dig into. Its pages reveal a history of days past, with practical application for the here and now. Every word inspired by God Himself, penned by the hands of mere mortals. It contains stories, not of super-human people with amazing powers or special abilities that no one can possibly measure up too, but of real people. Just like us. Human beings who were lost and without hope until a Savior was sent to shed His blood on a tree. 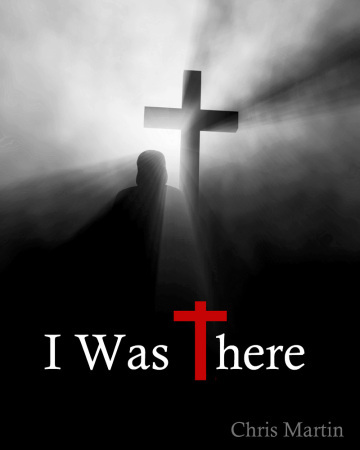 Chris Martin has written I Was There in such a way that it has the potential to impact everyone from the most seasoned theologian, to the lonely teenager sitting in the back of a Sunday service. Each story is presented from a perspective of the main character, giving insight into their deepest feelings and emotions. You don’t merely read the shocking story of Abraham about to sacrifice his only son on the altar, but you experience the immense pain of that call on his faith. You aren't left to merely observe the birth of Jesus in that manger two thousand years ago, but you join hearts and minds with a bewildered girl, barely more than a child, as she delivers our salvation. No longer just one of the crowd looking in scorn on the broken woman washing Jesus' feet with her tears, or the woman taken in adultery and waiting to see her stoned to death, Martin allows the reader to see with their own eyes the forgiveness poured onto them by Jesus. Not content with allowing you to only pity the widow whose only son has died, he opens up her heart and allows you to share the devastation at her loss and then her joy when Jesus returns her son to life. One after another, individuals who have previously been characters in the greatest story ever told become human beings that the reader can know in a whole new way. Martin allows you to join with the disciples as they participate in the miracles of the very same Messiah they have left everything to follow. The depths of our being are wrung dry of tears as we share an intimate moment with the wounded woman, weeping before the cross, in the death of the son she delivered in a stable 33 years earlier.